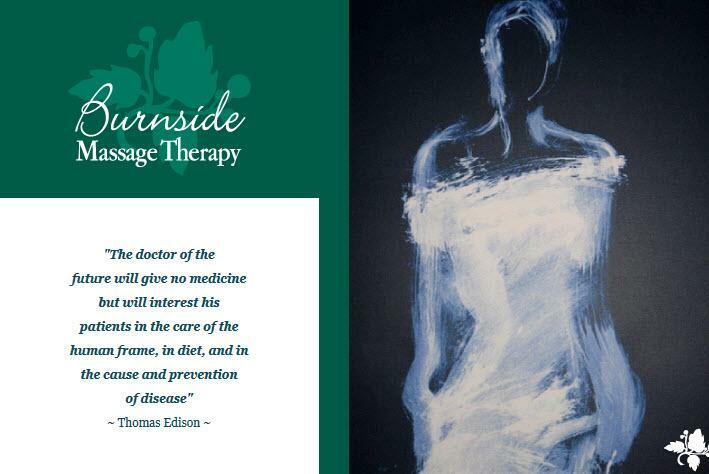 Welcome to Burnside Massage Therapy! I am a Registered Massage Therapist which means I have 3000 hours of training at the West Coast College of Massage Therapy (www.wccmt.edu) in Victoria, BC. I have volunteered my massage services at many events around Victoria including the Commonwealth Games Swimming Trials; Canadian University Rowing Championships; Royal Victoria Marathon; Sound & Silence 10k; Easter Seals 24hr Relay; and the Victoria Health Show. As a new mom and therapist, I can attest that the benefits of prenatal massage are endless. Studies have proven that prenatal massage decreases stress hormones that cause anxiety and depression in the expectant mother as well as the unborn child. Prenatal massage also increases circulation, lymph flow, relaxation, baby birth weight, and positive body image.